We often hear about how difficult it is to find a job. And while the stats suggest this to be true, it can be tough for businesses to find the right candidate. As an employer, you want to fight the best and brightest young talent with the skills needed to succeed in the sales world. But even the best hiring manager can have trouble sourcing great candidates. That’s why many businesses opt for a little bit of outside help. Hiring a recruiter is a great idea for businesses of any size, but how can you be sure you’re working with the right firm? Read on to learn how you can find the best sales recruiters to find the perfect candidates for you. The sales world is a multi-billion dollar industry covering a pretty vast spectrum. Therefore, it can be tough to find a candidate that gels well with your particular business. While you may find great candidates on a general job board, your needs are likely better suited targeting your efforts. And while some recruiters prefer to stick to job boards, the right recruiter knows your niche. They know what you’re looking for and where to find it. You’re not just paying for someone to find the right candidate. 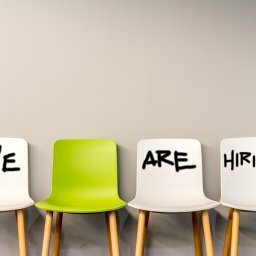 You’re paying for a recruiter’s expertise in your field. Even if you work in a small, niche market, it’s possible to find a recruiter that specializes in your field. You may even have people in your workplace with great contacts. It never hurts to ask around. 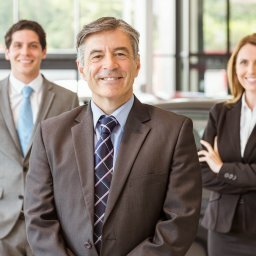 Assess Your Values: Speed Or Quality? Time-to-hire or time-to-fill are big factors in the recruitment world. These phrases refer to how quickly a recruiter is able to find the right candidate for the job. Sometimes, particularly during the holiday rush in retail stores, a business needs salespeople yesterday. And there’s nothing wrong with that! It’s a necessity in some cases. But often, quickly hiring someone is a bad move. 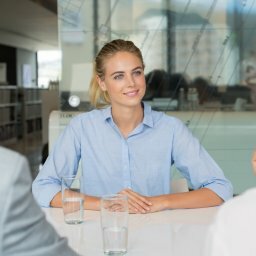 Recruiting takes time if you’re looking for quality candidates. Ask yourself: Do you need an employee quickly or do you need an employee that’s going to stick around? Having a plan of when you’d like to bring the new candidate on board can be a lot of help for the recruiter. Make sure you’re working with a firm that understands your timeline and can work within it. It’s pretty amazing how extensive the recruitment world is these days. With dozens of job hunting sites, it can be difficult to find sales recruiters that know where to look. Make sure to ask your potential recruiters about the resources they use. Sure, a job board is going to get some hits. But candidates may also turn to social media sites like LinkedIn or Facebook. And while that may sound peculiar, it’s more effective than you may think. 92% of recruiters said that they used social media to find qualified candidates according to AdWeek. Finding candidates is tough, but finding the right recruiter can be just as trying. However, focusing on sales recruiters in a specific niche that can work in your timeframe, as well as using tools like social media can be a big help. Speaking of help, we’d love to help your business find the best candidates!  At Apex Global Recruiting, we pride ourselves on our ability to find you the best candidates. So get in touch today and see how we can work with your business to find the next great employee.